Increased Resilience in the workplace is frequently referred to and can be fully supported by effective NLP Team communication coaching for business. Effective communication and staff morale are essential to a thriving business. Improving this will improve productivity, team goals, personal achievement and thus satisfaction and achieving higher targets, increased productivity and performance. All the above means a happier customer or client and increased profits. 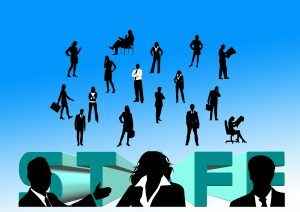 Do you really know your staff? Are you aware if there was a problem maybe personal or a work/colleague issue? Can your staff come to you with a problem? Are you utilising your staff to their best advantage? Do you lead and motivate them? The answer is you probably don’t know. You may think you know and that is completely different. Everyone sees things from their point of view- their ‘map of the world’ and that won’t necessarily be the same for any one person. How do you see yourself in your role? How do you view the behaviour and roles of others? Are you able to express these views? Do you see yourself as a team player and maybe others don’t? Do you feel ‘locked in’ with another colleague? Are you motivated and if not how can that be improved? Using numerous methods and skills I can help you and your company transform, transition and take off, unlocking potential, increasing confidence and adding value to your company and the individuals therein. This course can be delivered in-house or at an external venue as a half day stand-alone workshop or as part of a full day package tailored to your needs. For more information please click on the link below or fill in the contact form.